My name is Tom Jackson, my account is not unlike so many others surviving cancer; the chemo and blood work, the uncertainties of transplant therapy and the incipient side effects each week. These are the vernacular that defines our collective experience perhaps, but sadly our journey is not the same and often difficult to share. The consequence to my family is incalculable, their love and support for me obscures the wreckage that uncertainty tortures them with. But, we have not succumbed to dark abstractions. Instead we celebrate with our companion foot soldiers and those whom we share this insidious disease the human condition that is both charitable and generous. It is with this enlightenment that we will rejoice in our collective strength and irrepressible optimism. Family and friends of Tom Jackson are raising money to pay for uninsured medical expenses associated with his bone marrow transplant. 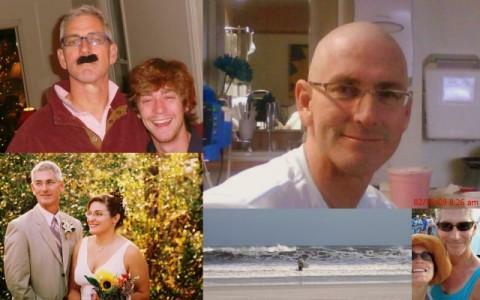 Tom lives in Wilmington, NC and is being treated at University of North Carolina Hospitals. For secure credit card donations: call 800-642-8399 or click Contribute Now. Thank you so much for our beautiful floors and for a wonderful friendship. We wish you and Jenel all the best! Tom, I hope you are having a great day! Can't wait to see you at Thanksgiving! Tom, I can't wait to see you this weekend! Tom and Jenel, We were glad to see you and Jenel and Imer's birthday party. We hope you are doing well today. You're in our prayers and our Sunday School class has been praying for you for months. God bless you and continue to give you strength daily to become well again. We hope the funds going in your account will help with you medical bills and that people will remember to help you as much as they can. Tom and Jenel, I will forward the email and this website to MANY friends in my email data base. We are with you all the way and love you very much!!! !